Most Unusual and Beautiful Gift! IF THE FARM ENTRANCE GATES ARE OPEN, WE ARE PROBABLY HERE AND OPEN!! Open to the public – The farm is open to the public at no charge Tuesdays through Saturday, 1pm to 4pm. during normal store hours. Visitors can hang out over the fence and watch the antics and then be sure to stop in the store and say hello! Tickets for private escorted tours are also available for purchase and scheduled by appointment, and generally take anywhere from 40 to 60 minutes for families and 60-90 minutes for larger groups, depending on the structure requested by the group at the time the reservation is made. 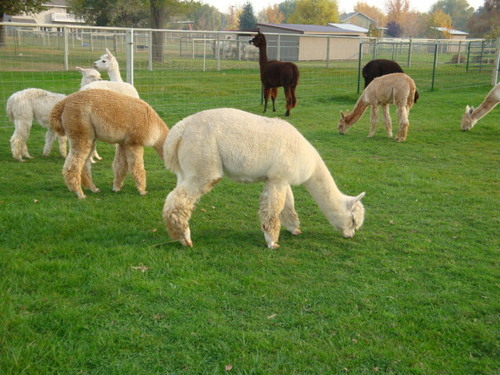 Topics covered can include information about alpaca history, the industry today, benefits of raising them, fleece and conformation characteristics, etc. Cost for a private tour is only $10.50 per adults 13 and up, but the visitor can receive a 20% discount on any one item priced at $50 or less in our onsite farm store! Call Collins at 509-378-583. The Fuzzy Wuzzy - Sandollar's Farm Store and Fiber & Leather Arts Studio - Visitors to the farm are welcome to browse our onsite store and fiber and leather arts studio where we offer a selection of things made from our award winning fleeces. Hours are 11am to 5pm, Tuesday through Saturday. Fabulous 100% alpaca yarns, roving, batts, etc. for the hand crafter. 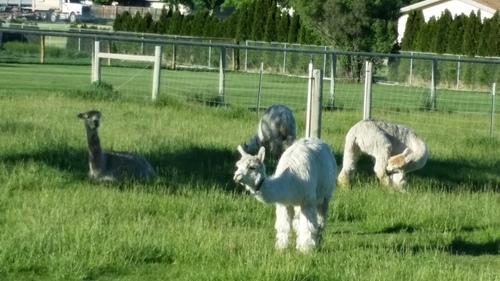 Alpacas for Fun & Profit Seminar - April 27, 2019 - This is a full day seminar offered several times each year which introduces the alpaca and the alpaca livestock industry today to those who do not already own alpacas as well as those who do! 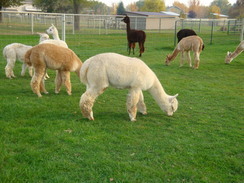 SESSION #2 in the afternoon focuses on basic husbandry for the alpaca, as well as handling and training of alpacas. Lots of hands on time! 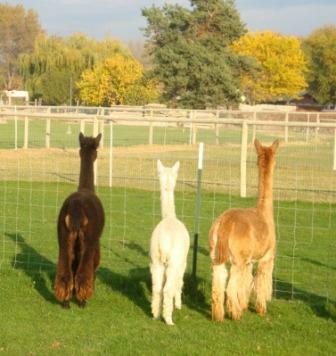 Come learn all about this emerging livestock opportunity, whether you just want to own pet, fiber or pasture ornament alpacas, or you are seriously considering entering the industry as a business opportunity. Find out what it's like! Reservations are needed and space is limited; please call Nikki at 509-378-6909; or call Collins directly at 509-378-5833 with any questions; and then register online for a reservation! The gates open at 8:30am for hospitality and we begin promptly at 9am. Annual Shearing Days - May 27, 2019 -Would you like to volunteer to assist in our annual harvest? Give Nikki a call at 509.378.6909 to see if we still have openings! 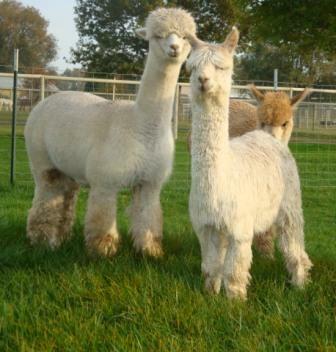 National Alpaca Farm Days - September 29-30, 2019 - the farm will be open from 11am to 3pm both days. Come out and enjoy the beautiful weather during this free fun family event! New baby alpacas pronking in the fields this fall! Browze our country mercantile and studio, the Fuzzy Wuzzy while munching popcorn and sipping lemonade! Copyright 2009-2019. 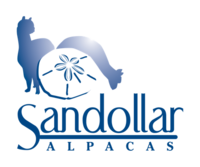 Sandollar Alpacas. All rights reserved. 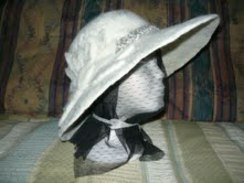 Felted Hat Class Was So Much Fun It Will Be Repeated!